In order for any machine to run efficiently, regular maintenance and repairs are necessary. This is especially true for industrial boilers. If you require repair services, choose Wyler Industrial Works, Inc. We can deal with any issue, big or small. Since we’re a full service industrial shop, we can provide complete repair services. Our work is backed up with ASME and National Board certifications. When it comes to boiler repair, choose a company with over 100 years of experience in the field! A faulty industrial boiler can lead to catastrophic issues. If not dealt with accordingly, the boiler may break down and cause your facility to shut down. Instead of facing this disastrous outcome, you can keep an eye out for common boiler issues. If your boiler is facing one or more of these warning signs, it may be time to consider industrial repair services. Leaks are intrinsically bad, even more so when it comes to industrial boilers. When an industrial boiler leaks while in use, it’s basically losing operational efficiency. Leaks can occur for a variety of reasons. 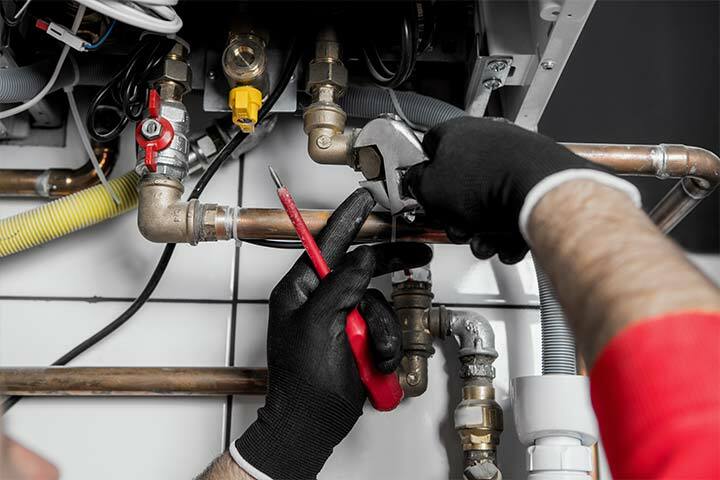 Overused pipes and poorly-maintained boilers can face leaks which not only decrease the efficiency of the boiler itself, it can also lead to dangerous situations. Leaks can cause the high pressure and heat that travels through the system to blowout. This can put your employees at risk of injury. Leaks should not be taken lightly. Another apparent sign that repairs are needed will manifest in odd sounds. If your industrial boiler begins to make strange sounds, it might be a sign of an internal malfunction or damage within the boiler system. Noises such as clunking or rattling, for instance, are major signifiers of internal boiler issues. Have You Noticed a Decrease in Performance? There are other warning signs that aren’t easily visible or audible, like the two listed above, but they can be as detrimental. If your boiler isn’t working at peak efficiency or if you’ve noticed a sharp increase in fuel usage, it may be time to seek repair services. Even if you haven’t noticed any decreases in performance, your boiler still requires regular maintenance and repairs. Failing to maintain your boiler can lead to system shut down. The professionally certified team at Wyler Industrial Works, Inc. provides all-encompassing boiler repair services to industrial facilities in the El Paso area.